Today is the SavvyReader readathon. I was hesitant to participate, because 12 hours of reading seems like a hell of a lot. But, then I remembered that I have a million books to read and several of them were short. So, I set out in hopes of finishing at least two or three while curled up, ignoring the rest of the world. One of the books I read was Le Petit Prince, the French version. I was in French Immersion right up to my high school graduation, but that was a long time ago. I’ve also been working on re-learning some fundamental French (off and on) via tools like Duolingo, but my French vocabulary is still basic, at best. I was tempted to just read the English version, but I’ve read this book before (in school, eons ago) and I figured this would be a good way to work on my French while still getting a book read for the readathon. It did require looking up a lot of words, but I still managed to get through it. The book is delightful, melancholy, and thought provoking. It tells the story of a pilot, stranded in the desert with a mechanical failure, who meets a prince from another world (an asteroid, actually). 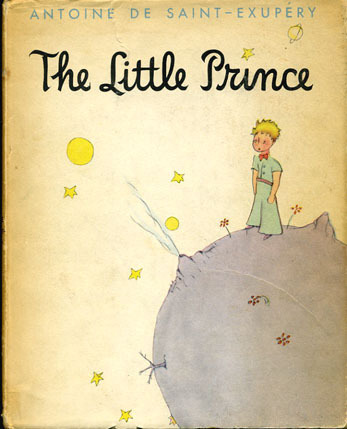 Through learning about the Little Prince’s adventures (why he left home, the places he visited on the way to Earth, and his time on Earth), we learn about the silliness of the adult world. Like the uselessness of owning all the stars just for the sake of owning all the stars. Some of the prince’s encounters are blatant commentary on specific things.They are metaphors for adult things that are damaging and/or revered. Power, addiction, money. But, others are a little more subtle and a little more likely to be interpreted differently by each reader. It’s because of this that I’m hesitant to say too much about the story and about my personal experience and relationship with the story. Suffice to say, it’s worth the read (though, certainly, easier to read in your primary language). It’s beautiful and a good reminder of some of the things we lose when we let ourselves get too drawn into being a “proper” adult. As for the readathon, the hours went by more quickly than expected. While I think that a bit of a break would be good (maybe a short walk and a proper dinner), I suspect that I’ll try to get a few more hours of reading done this evening.